The rumours of an HTC Facebook smartphone have been confirmed today with the launch of two new Android handsets, the HTC Salsa and the HTC ChaCha. 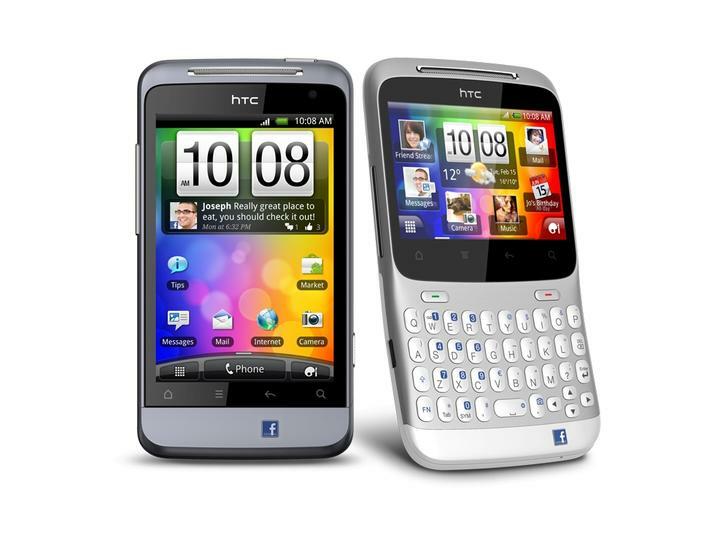 Before you get too excited, the Salsa and the ChaCha are not official Facebook phones, they are HTC’s own interpretation of a Facebook smartphone that does have Facebook support. The HTC ChaCha and HTC Salsa will automatically poll Facebook to share updates whenever they become available. Utilizing a dedicated Facebook button on the device, users can update their statuses, share a share, post a link to a website, a song and check-in to locations using the Facebook Places platform. Both devices will feature Android 2.4, a slight upgrade to Google’s Gingerbread release, which will be bundled with HTC’s Sense UI to integrate the Facebook social features throughout the phones software. When making or receiving a call, the user will be able to see the persons latest status update and photos, also notifying you of their birthday if it is fast approaching. Facebook Chat is supported and Facebook messages sent to you will be integrated into the messages and email sections of your smartphone, keeping all of your important messages in one place. The HTC ChaCha is powered by a 600MHz processor and has 2.6-inch touch screen with a 480 x 320 resolution. It has a full QWERTY keyboard, a 5MP rear facing camera and a VGA front-facing camera. It’s the perfect device for a Facebook lover that prefers a physical keyboard over tapping away at a touchscreen. The HTC Salsa is the touchscreen equivalent of the HTC ChaCha, sporting a larger 3.4-inch, 480 x 320 resolution touch display. It too has a 600MHz processor and has exactly the same functionality as its keyboard-toting counterpart. Both handsets will be available to customers worldwide starting Q2 2011.